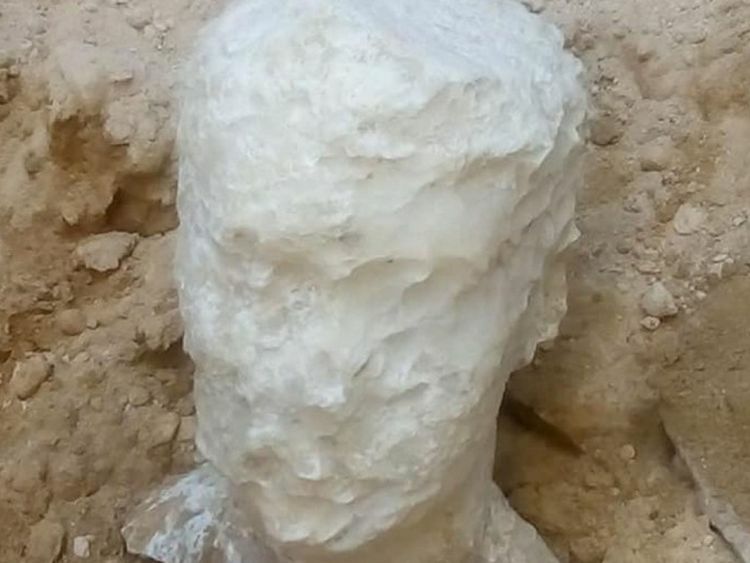 An enormous black sarcophagus has been discovered during an archaeological dig in Egypt alongside an eerie alabaster head. 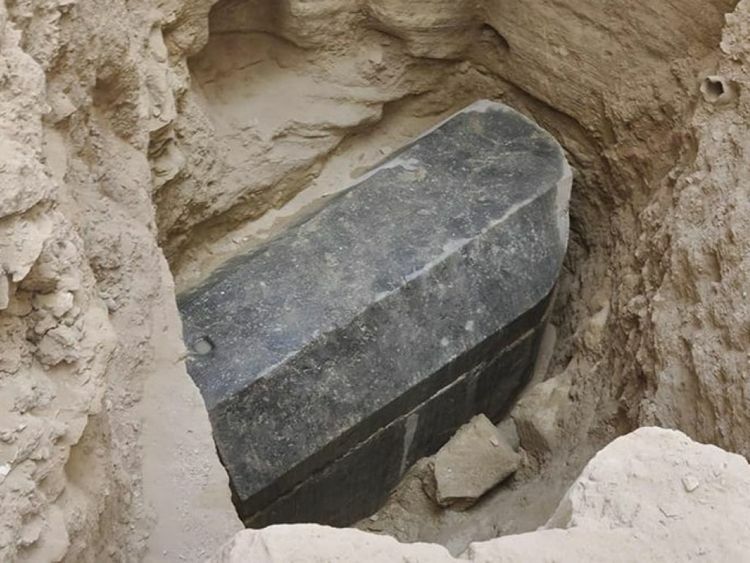 The mysterious coffin is 265cm (104in) long, 185cm (72in) tall, and 165cm (65in) wide, making it the largest that has ever been found in the city of Alexandria. It was discovered by an Egyptian archaeological mission after an ancient tomb dating back to the Ptolemaic period was uncovered during a construction dig. Construction laws in Egypt require developers to excavate the ground beneath their planned developments before building. Made of black granite, the sarcophagus was found five metres beneath the surface of the land beneath a layer of mortar. According to Dr Ayman Ashmawy, the thick mortar between the sarcophagus and the surface indicates it had not been opened since it was closed around 35 BCE. Archaeologists will now attempt to find out what is inside of the mysterious coffin without damaging it. 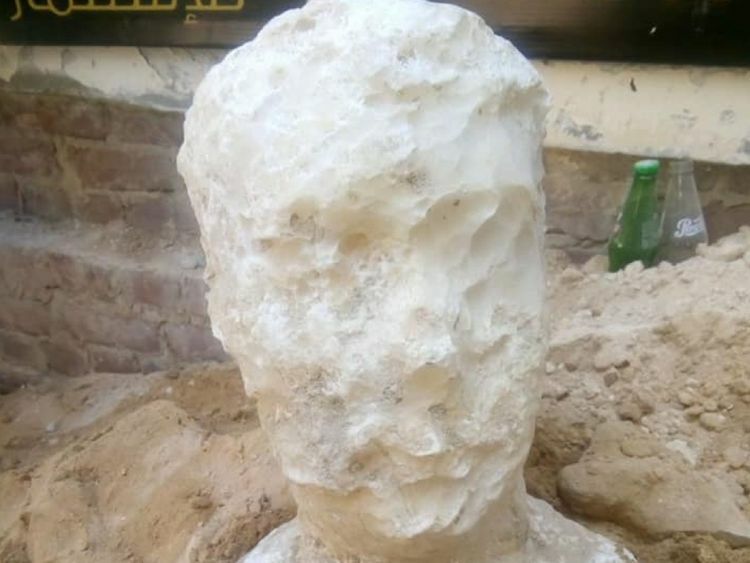 The archaeologists also discovered the alabaster head of a man potentially representing the owner of the tomb. The find is considered to be extraordinarily rare as many older tombs have been plundered by criminals and thieves over the centuries. It was discovered by accident and is more than 2,000 years old, dating between 305 and 30 BCE. Despite its age, the tomb is nearer to the modern day than another found in February belonging to a high-ranking priestess who is believed to have lived 4,400 years ago. In February, archaeologists discovered a necropolis containing 40 stone coffins, small statues and a necklace with an inscription “Happy New Year”.